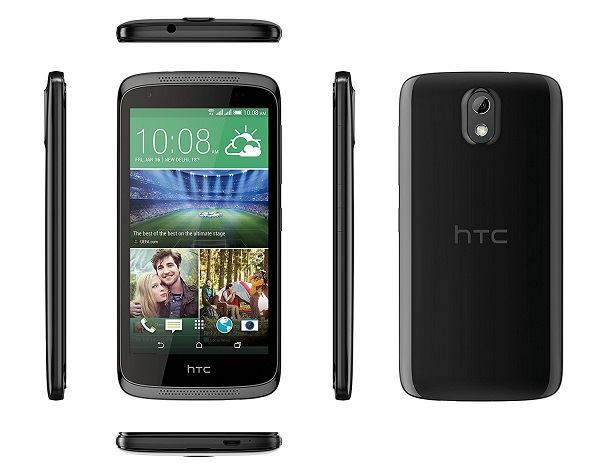 Also check: HTC Smartphone under 15,000. HTC Desire 526G Plus is keeping up with its camera quality. The photos captured still have that crisp in them which makes the picture look amazing. The primary camera of 8 megapixels manages to take good photos with good details and little noise. The performance is outstanding even when you are doing multitasking. Hardly any customer has faced the problem of shutting down or hanging up of mobile phones. The performance is remarkable. It is powered by 1.7 GHz octa-core MediaTek MT6592 processor. The battery is able to last for a day. On extreme usage, it lasts for 6 hours and 3 minutes. Apart from that, it can be used for an entire day on a single charge. One thing that the customers do not like is that the mobile phone contains a glossy backpanel. It does not support today’s fashion trends. Also, it creates finger prints at the back that is mostly smudged. Apart from this, the model is available in matte colors as well. The touchscreen is only 4.7-inch wide. It is a bit out dated now. People prefer using mobile phones with bigger screens helping in smooth interactions with the phone. The display resolution is not good like other mobile phones of HTC company. It only offers 540 pixels by 960 pixels. Customers nowadays require a better resolution. They will not opt for something lesser than that. Although the camera captures good pictures, it fails in making better quality videos for the users even after having 1080 pixels resolution. The audio quality is not too good. The volume seems to be low even if it is kept on it highest bar. The sound was better when earphones were plugged in, otherwise it did not do good. Purchases are well satisfied with the product made by HTC. Great performance, average camera feature, brilliant design is a complete package offered by the company. Regular tasks can be completed without any disturbance. The dual sim feature serves as a plus point for customers.